Just back from a visit to Washington DC with my daughter following her college graduation. We stopped to see the WWII memorial. My dad’s service was heavily on my mind when I saw this picture. As we were there, a veteran was being interviewed by a group of young students for a video journal and it got me to thinking. Hunched in his chair, he scanned the WWII Memorial. He was 17 when he joined up and shipped out to Pearl. Memories unbidden flooded in. One of the last standing, the ghosts of his brothers were thick in the air around him again. Awareness of his singularity ached like a severed limb, the old guard now gone. 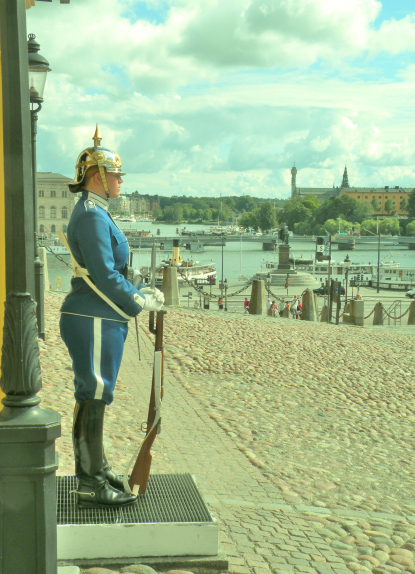 Lost in his reverie, remembering what they were fighting for so long ago, he slowly saluted. These young ones may never know the sacrifices they made; he hoped they never would. Nodding his readiness, his son pushed him up the ramp to the van. 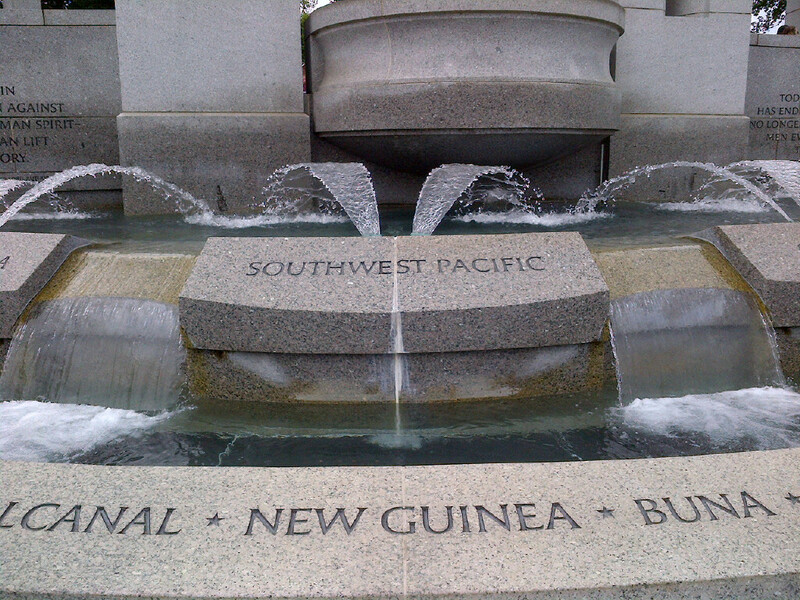 This entry was posted in Flash Friday Fiction and tagged flash friday fiction, WWII Memorial. Bookmark the permalink. Lovely story. Deeply felt sentiments for so many of us. 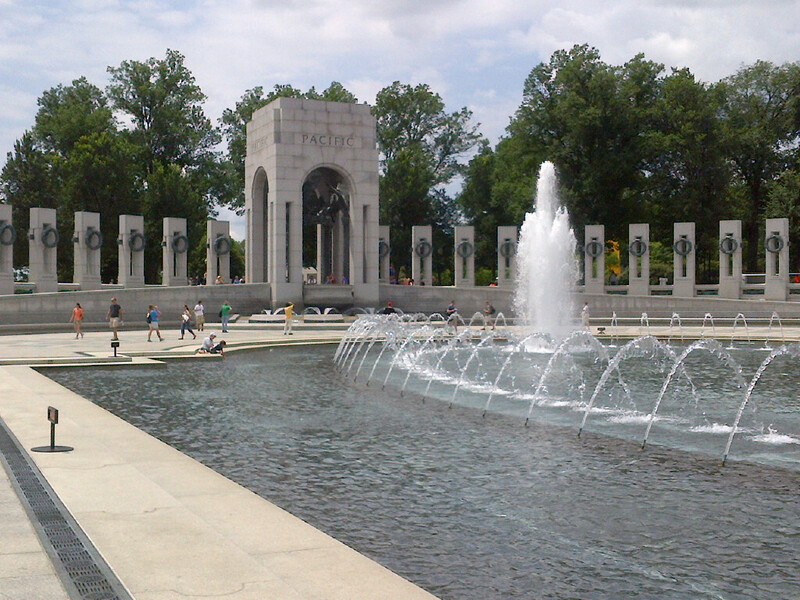 Thank you for including the photo of the WWII memorial. Great! Thanks for going in a different direction. It worked out fine! You know we have a WW1 Memorial museum in Kansas City? It’s the only one in the country that has national recognition! I am so glad I read your tribute to your father and his comrades. We will never know what they endured and that is to their everlasting credit and secures their everlasting honor. Well done. My father was an enlisted man – lied about his age and joined up at 16 in 1938. He saw the whole war in Europe (as an engineer working on tanks) in North Africa and Italy and was finally discharged in Austria in 1945. Until his dying day, he never spoke about it. Perhaps because his experiences were too painful. I don’t know. I never even questioned his silence until I came to write the eulogy for his funeral. Myself, I’m named for Dad’s elder brother John, who was taken prisoner in Malaya and died as a POW on the Burma Railway. The Second World War reverberates still. My father-in-law landed at Omaha Beach on D-Day and was also in the Pacific, things that marked him deeply for life. We were blessed to be able to spend a few days in Normandy a few years ago, an experience that was almost beyond words. Enjoyed your story. Nice piece, Erin. A memorial is really something to see in person, isn’t it? Thank you for sharing your pictures. Your story left a lump in my throat and an ache in my heart. Bravo! What a wonderful tribute to a great generation. Beautiful post. Very nice :-). Hope you are feeling better? Will be back in sea later this summer – hope to see you!! doing OK – would love to see you when you’re in town!